Get professional help from a team of dog trainers and prevent your puppy from forming bad habits. The training and socialization we provide during Puppy Day School will shape your puppy into an adult dog you'll enjoy for years to come. Your puppy will attend Monday through Friday for 4 weeks. That's 20 days of learning, socialization, and play! 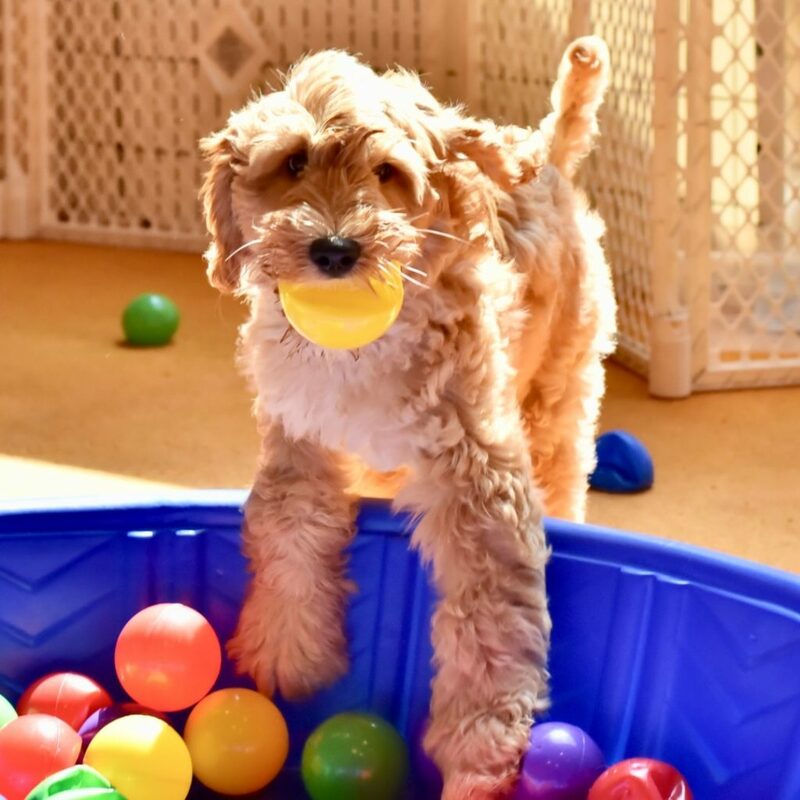 You'll enjoy unlimited attendance to our Flex Classes and Puppy Playgroups while your puppy attends our program so we can teach you how to maintain their training, as well as weekly 30-minute, one-on-one Puppy Teacher Conferences and report cards for additional guidance. Subsequent months of Puppy Day School are offered at a reduced rate. Due to high demand, there is currently a 1-3 week wait list for our Day School programs. We recommend booking your puppy's evaluation before you bring her home, if possible.